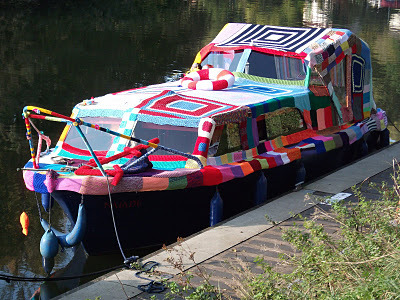 I just found the website, Knitiffi, via Jean Moss' blog. Check out the yarn-bombed boat! What a LOT of yarn and work.